Guns N’ Roses paid tribute to the late Chris Cornell with a performance of Soundgarden’s 1994 smash, “Black Hole Sun”, during their May 27 show before 80,000 fans at Slane Castle in Ireland and video from the event has surfaced online. Bassist Duff McKagan had close ties to Cornell as part of the Seattle music community, and the two performed together with the Seattle Symphony Orchestra in 2015 as part of a reunited lineup of the local supergroup Mad Season. Cornell was laid to rest during a private memorial service at the Hollywood Forever Cemetery in Los Angeles on May 26 after being found dead in a Detroit hotel following a Soundgarden concert at the city’s Fox Theatre on May 17. The Slane Castle event marked the opening night of Guns N’ Roses’ European tour. The 7-week, 19-show run continues next with a May 30 appearance in Bilbao, Spain and will wrap up in Tel Aviv, Israel on July 15. 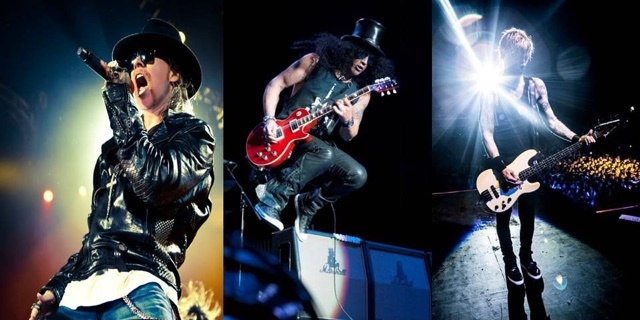 Following a two-week break, Guns N’ Roses return to North America for an additional 17 dates starting July 27 in St. Louis, MO.